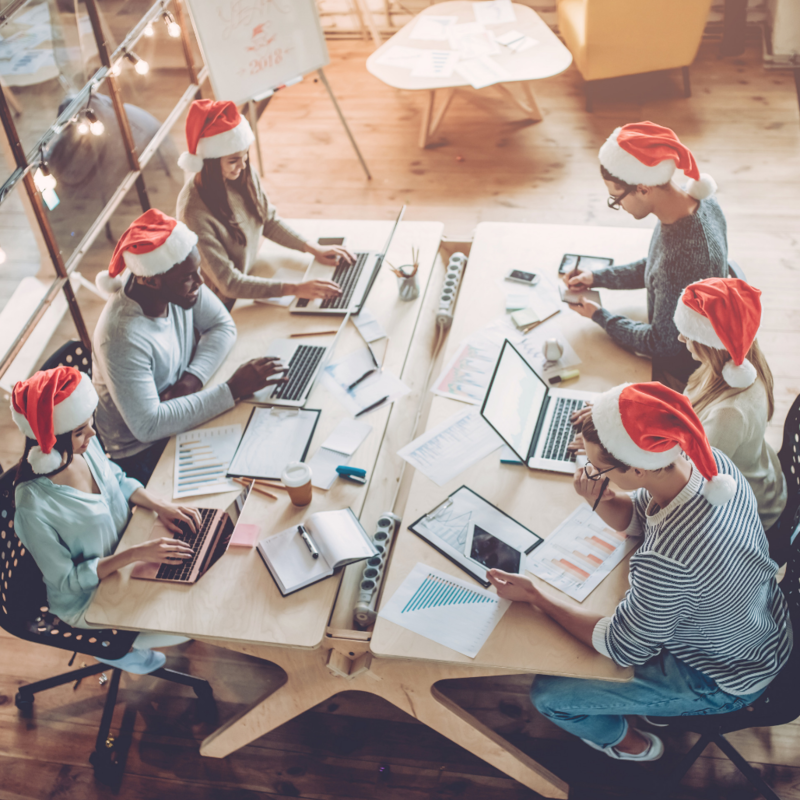 Office parties are a fun way to connect with coworkers and clients in a fun and festive setting. But the right atmosphere is key to pulling off the perfect holiday party! There is no shortage when it comes to options for holiday decorating. When choosing new accessories for your office space, opt for higher quality pieces that will really make an impact. For example, a festive holiday centerpiece will be more eye-catching (and easier to reuse) than banners or balloons. Nothing is worse than a beautifully decorated room…where you can’t get to the dessert table. When rearranging your office to accommodate a large number of guests, make sure you leave lots of room for the important stops – food, drinks, and bathrooms. If space allows, your guests will also appreciate a combination of open areas for mingling, and smaller spaces for more intimate conversation. That can be achieved with small clusters of seating in spots that are out of the way of high-traffic areas. There are many celebrations that go on through the winter months, and chances are, your guests celebrate a variety of them. Create a welcoming environment for all partygoers with universal décor that doesn’t hit too hard on a single holiday. A little bit of shine, cool snowy colors, and winter foliage are all sophisticated decoration options that will appeal to everyone. The best holiday office parties are one where guests see a little bit of a business’ personality in the décor. This is the perfect time to get creative, and find ways to incorporate your logo, mascot, or other elements of your brand into party favors or decorations.